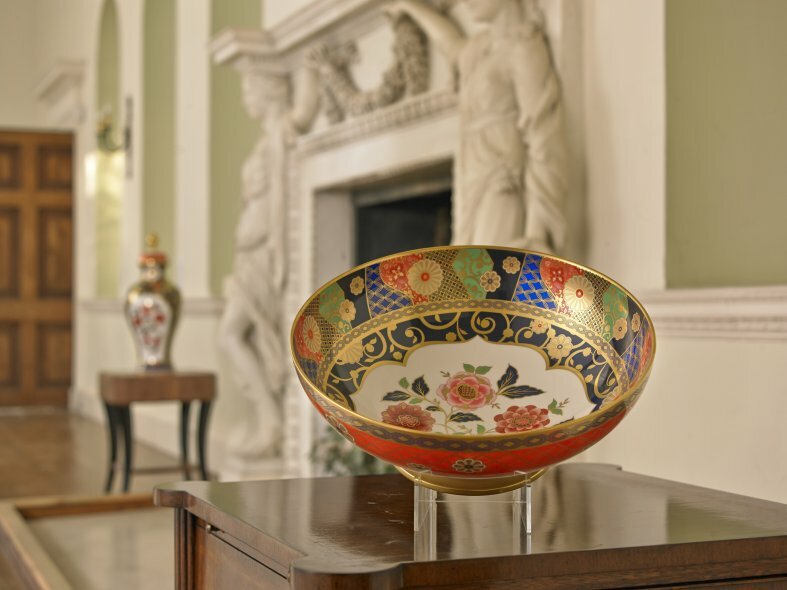 The simplicity of the Elmley bowl by Chamberlain & Co is a remarkable example of the exacting skills applied to seamlessly create Chamberlain & Co's magnificent pieces. Quite simply, large ceramic pieces want to sink to the bottom of the kiln during the firing process. 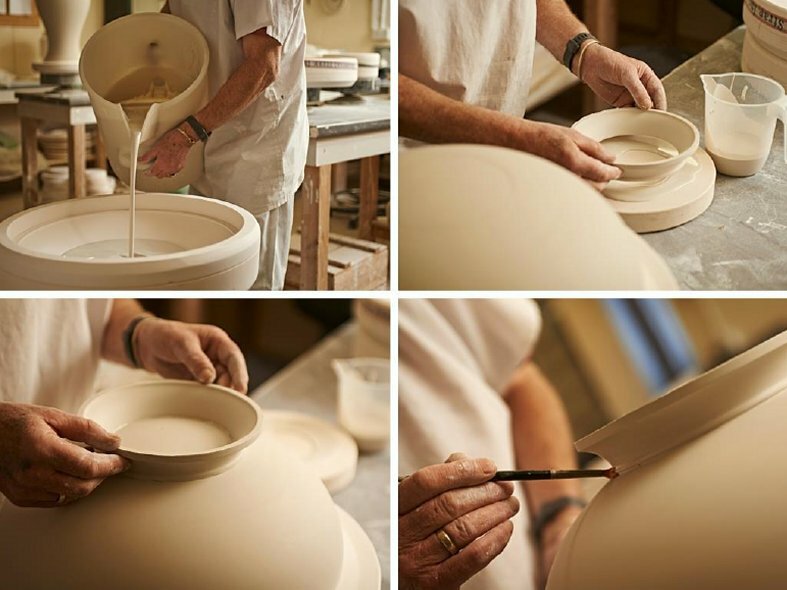 So to create and maintain the Elmley's gorgeous curves the bowl & foot are cast, ensuring the clay cast is of consistent thickness throughout, then so seamlessly assembled you wouldn't think it was originally made from two pieces. Simultaneously, a forming ring and clay dump are cast and then the assembled bowl is inverted and placed on the dump and ring- these combined elements shrink at the same rate as the bowl maintaining it's circular shape and preventing it from sinking in the kiln, and that's it. 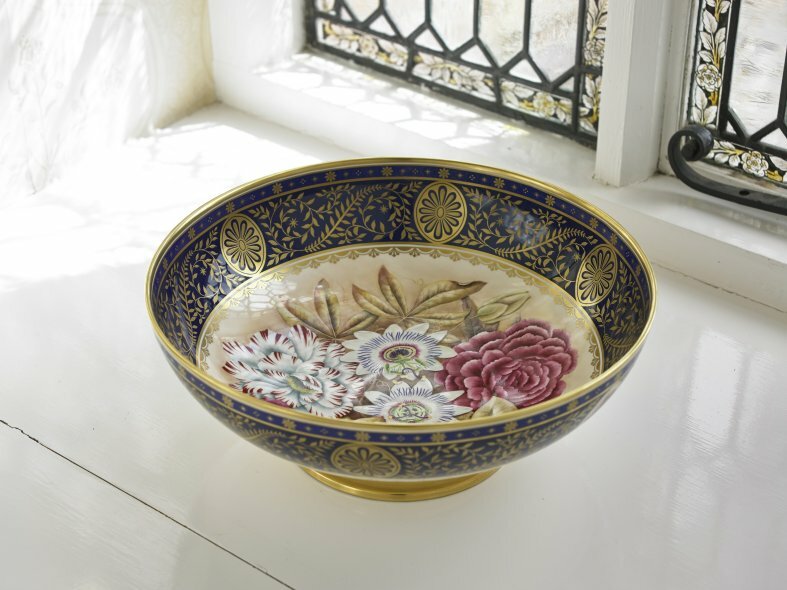 Once biscuit fired the meticulous decoration process begins, firstly the bowl will be spray glazed then we start to build the decoration layer by layer. After each application the colours or precious metals are fused at temperatures that gradually reduce from 1060C to as low as 740C - in total it can take in the region of 40 hours. 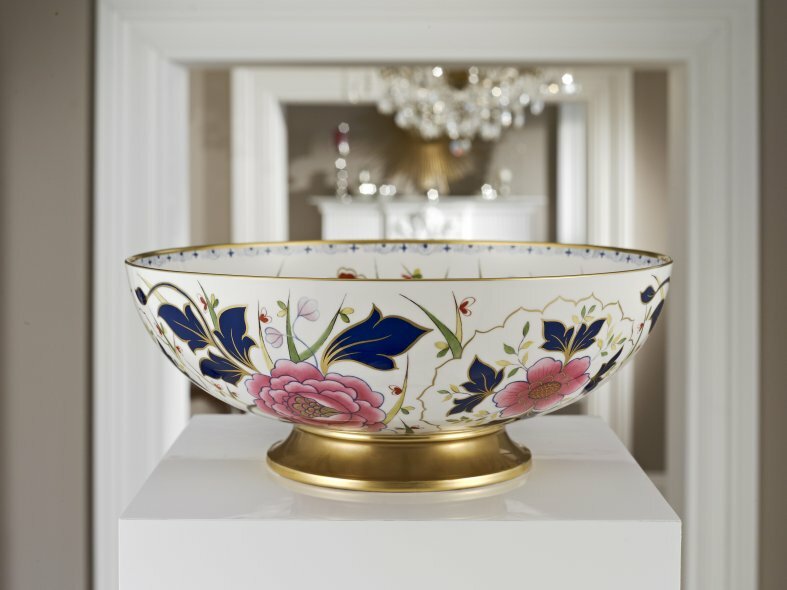 Chamberlain & Co has Elmley bowls in each core design; Imperial Imari, King George III, Chamberlain Black and Heritage Garden. 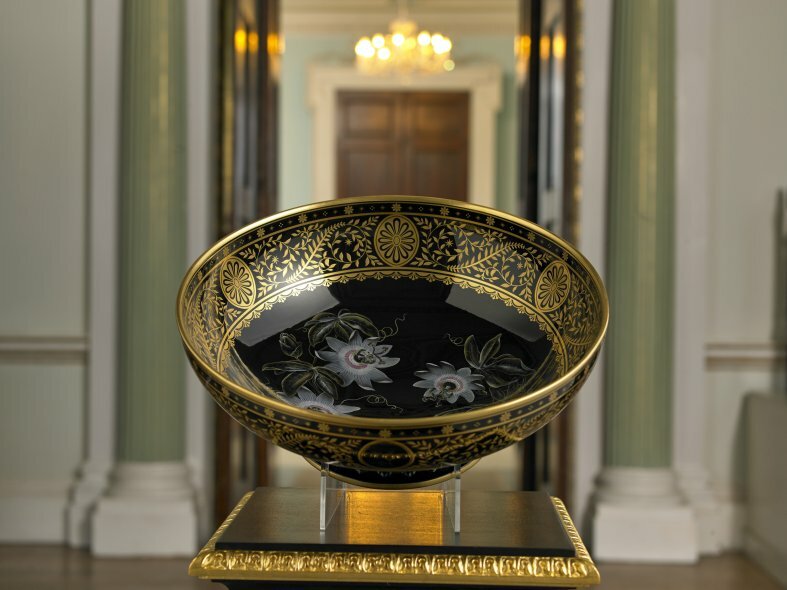 48 The total number of hours it takes to create the curvaceous curves of a Chamberlain & Co's Elmley Bowl. 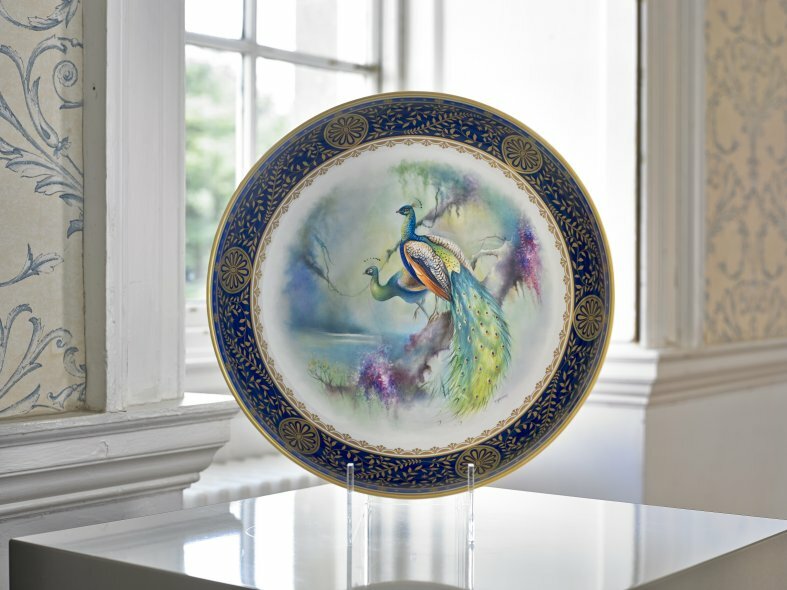 10 The typical number of times each piece may be fired in order to achieve flawless glaze and the depth of ceramic colour and the rich gold effects. 23 The number of Karats in the gold used to finish our ware. 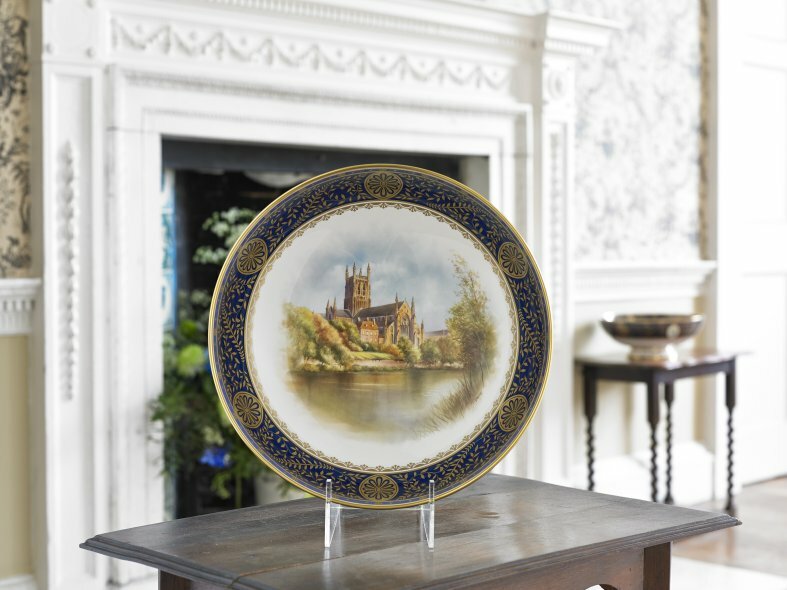 Authenticated The finishing touch to each Chamberlain piece is the Artist's signature. Size Matters The diameter is a remarkable 34cm, and it stands some 12.5 cm tall. Infinity The number of hours that the Elmley bowl can be admired and treasured.